Having been out of the country for half of the last week, the announcement of Chris Porter's arrival at Bramall Lane on Friday afternoon came as a bit of a surprise. I had surfed the forums and message boards, but saw little mention of his impending signing. In fact the first I had heard of it was when a work colleague mentioned he had heard a rumour that Porter had failed a medical earlier in the week. Literally, no more than 10 minutes later, the news he had signed was on United's official website. I felt relatively positive about his arrival at the Lane, although his recent injury record had limited his opportunities at Derby and when fit he had been unable to regain his place. Interested in finding out a Derby view on his limited action at Pride Park, I contacted Ollie Wright of The Derby County Blog for a Rams perspective. "Chris Porter was Nigel Clough's first signing as Derby County manager. The Rams managed to gazump Cardiff City to sign the Wigan-born striker, who arrived from Motherwell for £400,000 at the end of January 2009 with a decent reputation as a goalscorer." In fact, I remember that Kevin Blackwell was also interested in signing him for United at that time. I was a little underwhelmed then, I think because he was untried at Championship level. Although to be third highest goalscorer in the SPL with Motherwell was still a reasonable achievement. The fact that Clough made him his first signing, was a massive sign of faith in a player yet to play at that level. the Cardiff and Blades interest also vindicates a belief within management circles that he was more than capable. "He made a great start to his Rams career by bagging a brace in his first home start, a 2-2 draw with Swansea City, then followed that up by scoring in a 2-1 home win against Bristol City days later. Unfortunately, that was about as good as it got for him at Pride Park." "After the Bristol City game, Porter didn’t feature again for the rest of the 2008/09 season due to a hip injury and after undergoing surgery, was ultimately ruled out of contention until December 2009 by this problem. On returning, he got the winner at Watford in his first start of the 2009/10 season and was in and out of the team thereafter, scoring three more times." It was Ollie's next words that concerned me most. "Last season was therefore make or break for Porter, as he entered the last year of his Rams contract. Unfortunately, he broke down again during a League Cup tie at Crewe in August 2010, moving Clough to spit, “we’re sick to death of Porter, him and his hip”." For a manager to openly criticise a player like this suggests a degree of anger and frustration at the situation. Maybe I am reading too much into it, but it strikes me as a manager who is as frustrated with a player's psychological issues in dealing with injuries as much as the physical problems themselves. Last season, I remember Ronnie Moore openly criticising Tom Elliott, a loanee from Leeds, who passed the physio's tests but mentally couldn't play through fear of an injury that had seemingly healed, but not in his head. "After this setback, he was barely able to feature again for Derby. He started just six times last season and although he did score both goals in a 2-1 win at doomed Preston North End, it was no surprise that he was released this summer." In fact his final game in a Derby shirt saw him score the goal that beat the Blades and seal the Central League Reserves title at the Blades' expense. Clearly capable of scoring goals, up against many of the young Blades players who will feature in the first squad last season, yet the manager had lost all interest and faith in him. "If Porter is actually fit again and the hip problem is genuinely resolved, then you have got yourselves a natural goalscorer. He is not the most mobile of centre forwards and not a great footballer, but he does have that crucial knack for finding the back of the net and could really flourish in League One. The question mark, of course, is whether he’s going to break down again." Ollie's summing up concurs with my feelings on the matter. Although, I wasn't enthused by our interest in 2009, I think he is the right kind of signing for us now. This is based on the fact he has a proven record at this level with Oldham Athletic. But a two year deal to an injury prone striker, albeit on a free transfer, is a big risk, however stringent the medical. Especially when money is tight and transfers in will be dictated by freeing up the wage bill with movements out, alongside a more restrictive wage budget. 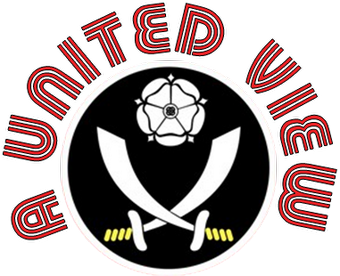 In the last couple of weeks I have answered questions about the Blades' new season prospects for preview supplements to be published alongside next month's issues of When Saturday Comes and World Soccer and a special downloadable pdf produced by football league sites The Seventy Two and The Two Unfortunates. For each, I have said it will be much easier to judge how the season might unfold when we see what the final squad looks like in August. With Darius Henderson now at Millwall and Danny Wilson this week re-emphasising the availability of Ched Evans (who you would assume will be on his way), that leaves the raw, but promising, Jordan Slew, Danny Philliskirk (another young player,signed from Chelsea), the inconsistent Daniel Bogdanovic and Richard Cresswell as strikers alongside Porter. There have also been rumours that Bogdanovic might be on the move, maybe we will see a move once the pre-season tour of Malta is finished. I worry that, unless another experienced striker is signed, too much reliance will be placed on Porter's shoulders. Previous managers have played Cresswell out wide and he looked out of sorts over the last 12 months, in an injury hit season. Slew will need someone to play off and I am not sure that Porter will be the best foil. Maybe we can live with his lack of mobility, providing his link play can unleash Slew's pace and quick feet. I just hope that we are not placing all our eggs in a Chris Porter shaped basket. I am pretty sure we are not, I just hope that when I return from holiday for the game at Boundary Park on 6th August that other striker is in place.